Orchestras Canada’s members are Canadian orchestras and ensembles – professional, semi-professional, community, youth and training groups – that present concerts to the public. 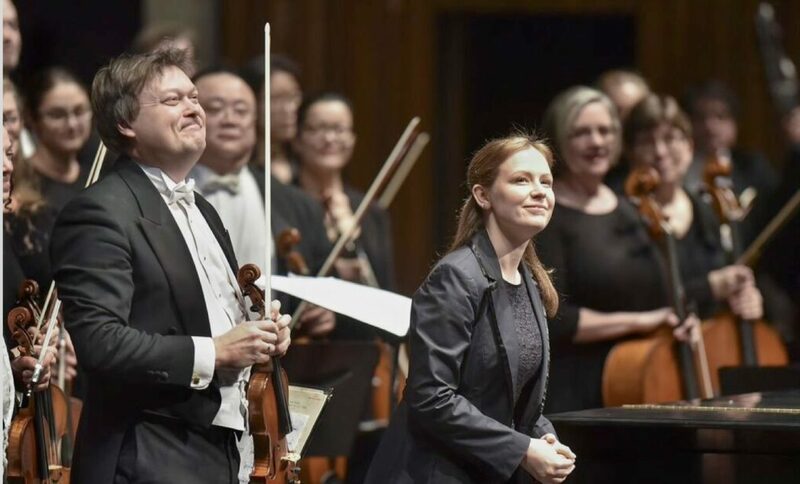 They are part of Orchestras Canada because they know that orchestras play a vital role in the Canadian cultural scene, and that they are stronger when they’re part of a dynamic national movement. Research: A comprehensive research program, including up-to-date industry statistics, collation of orchestra-specific research undertaken by outside groups, and original research on issues facing Canadian orchestras – allowing your orchestra to make informed decisions. Knowledge-Sharing: Access to insider updates from OC, including professional development resources, updates on federal policy and funding changes, and access to the work of such groups as Imagine Canada, Cultural Human Resources Council, Canadian Arts Coalition, the Cultural Data Hub, and the Ontario Non-profit Network. Convening: Frequent access to your peers through our peer email groups, online and phone meetings, and regional meetings and workshops. A discounted rate at our national conference: a professional development and networking event held annually and attended by orchestras from across the country. Advocacy: A public advocacy program that conveys perspectives and concerns from Canadian orchestras to federal decision-makers. Our advocacy program also empowers your organization and supports you with your own advocacy at local, provincial and national levels. Participation: Have your voice heard and vote counted through participation at OC’s AGM, member meetings, committees and task forces. Saving Money: OC members have access to reduced rates on extended health coverage, standard insurance coverages as well as directors and officers liability insurance. Fees are set on a sliding scale, based on each orchestra’s annual revenue. Our associates are organizations that have links to the Canadian orchestral field. They include music schools, artist managers, consultants, ensembles, presenters, publishers, volunteer committees, music competitions and many other kinds of artistic associations or organizations. A discounted rate at our national conference: a professional development and networking event held annually and attended by orchestras from across the country. Reduced rates on extended health coverage and standard insurance coverage, as well as directors and officers liability insurance. $100 per year, renewed in the fall for the following calendar year. Cheque & online payment options are available.